At DSM sustainability is the core value of the company. We are focused on delivering science-based, sustainable and scalable solutions that face up to the challenges our world faces today. Every day more than 20,000 DSM employees are enabling our customers and consumers to contribute to more prosperous societies. We measure the environmental and social impact of our products at both a production level and over their full life cycle, from resource extraction to waste management. Insights from these studies show us where we can further improve and where to target our Bright Science so we constantly improve the sustainability performance of our customers or end users. We are proud to support Apple’s Clean Energy program and the transition to 100% renewable energy in their supply chain. Our polymers and compounds are used in many Apple products, including connectors and cables. 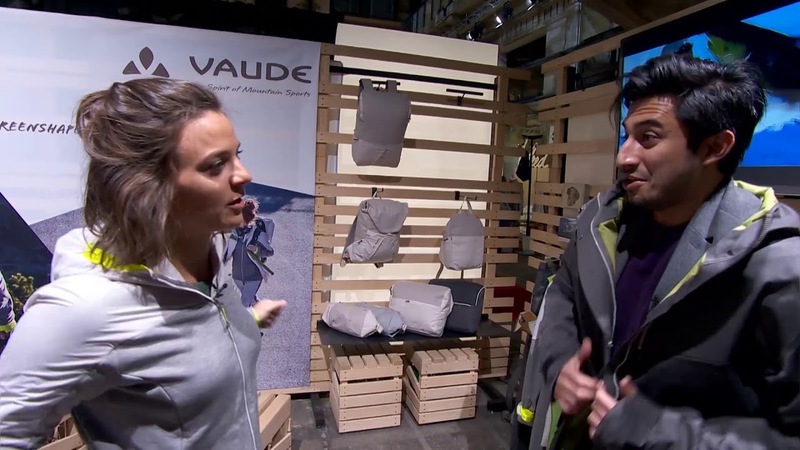 Sustainable Outdoor Clothing Manufactorer Vaude, uses our unique polyamide EcoPaXX to make robust fiber for the abrasion resistant outer material used on high wear areas of their 3-layer jackets and pants and in two of their backpacks. the two backpacks of the Green Shape Core Collection. About ten years ago, the automotive industry was preparing for legislation imposed by the European Union that would impose very hefty fines on cars with excessive CO2 emissions. The entire timing chain system has a real impact on fuel economy and emissions due to the resulting friction. We connected this fact to the coming legislation and saw a real opportunity in front of us! Starboard, a world leading watersports company and DSM are collecting and upcycling discarded fishing nets to create a material for consumer goods such as surfboard components. In doing so the collaboration supports litter-free beaches, a healthier marine environment and creates a positive social impact for local communities in India. Our portfolio of tough yet lightweight plastics are driving manufacturers to produce automotive components that are extremely light, reduce engine friction, and can operate in extreme environments – particularly at very high temperatures. Responding to trends for increased miniaturization inside electronic devices – while also providing a more sustainable (non-halogen) alternative to traditional materials like Liquid Crystal Polymer (LCP). We are leading the way in Circuit Breakers, not just in safety but in sustainability as the industry continues to move from thermosets to thermoplastics. Our Akulon is fast becoming the material of choice for film formulators looking for an excellent barrier material that extends the shelf life of packaged food – and thus avoids the environmental and financial cost of food waste. We provide producers of fuel tanks for vehicles and appliances with small engines with the simplest and most cost-effective way of cutting evaporative emissions. Arnitel VT is a very flexible thermoplastic elastomer that is 100% waterproof but also highly breathable and comfortable. The material contains no PFCs (perfluorinated chemicals) and is 100% recyclable. Our Arnitel® Eco material is a bio-based thermoplastic copolyester (TPE) that delivers high performance with the added benefit of a lower environmental impact. The material is 50% made from renewable resources, based on rapeseed oil instead of mineral oil. Our innovative materials help to save energy, reduce reliance on fossil fuels in a shift towards the use of renewable resources, and drastically reduce the carbon footprint of the products people use every day. DSM takes its global environmental and social responsibilities seriously. This goes beyond our own operations to that of our suppliers, customers, and end-users. Will hydrogen drive a CO2 revolution in the automotive industry? Hydrogen has the highest energy per mass of any fuel. One kg of hydrogen is equivalent to 33.3 kWh, which means it delivers three times more energy than conventional fuel. But hydrogen’s low ambient temperature density results in a low energy per unit volume. This requires the development of advanced storage methods that have the potential for higher energy density. A Sustainable Future: Science Fiction? Eco cities. Green cars. Transformation of energy systems. Nothing will impact how these concepts are realized, and their capabilities, more than the materials we use. Materials science will be the epicenter of innovation amidst rapid change and disruption, paving the road from idea to reality – science fiction to truth. DSM has been recognized for its consistent and longstanding commitment to sustainability, having been named among the global leaders for the past 14 years. Learn about DSM Corporate Sustainability's Growth Areas, Focus, Development Goals and Strategy. Learn how DSM Corporate Sustainability is focusing on delivering science-based, sustainable and scalable solutions that face up to the challenges our world faces today.